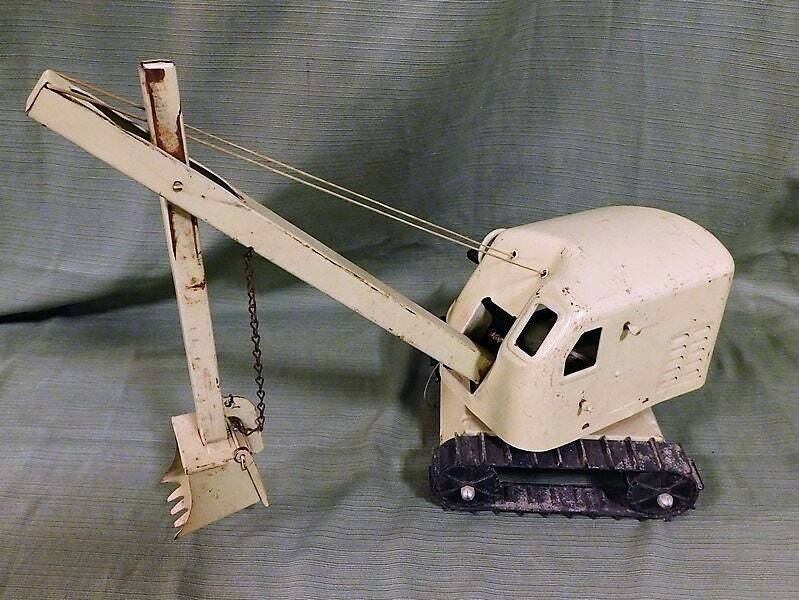 Vintage 1950s Structo Construction Co. 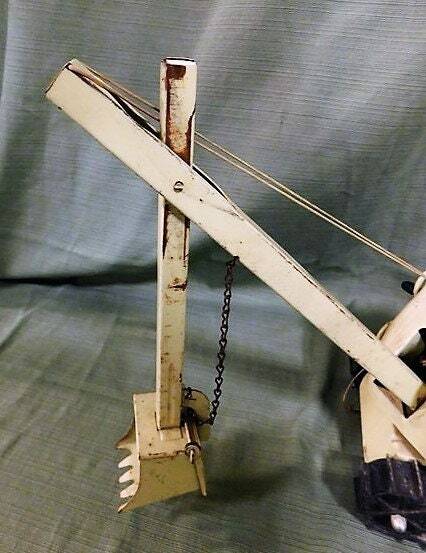 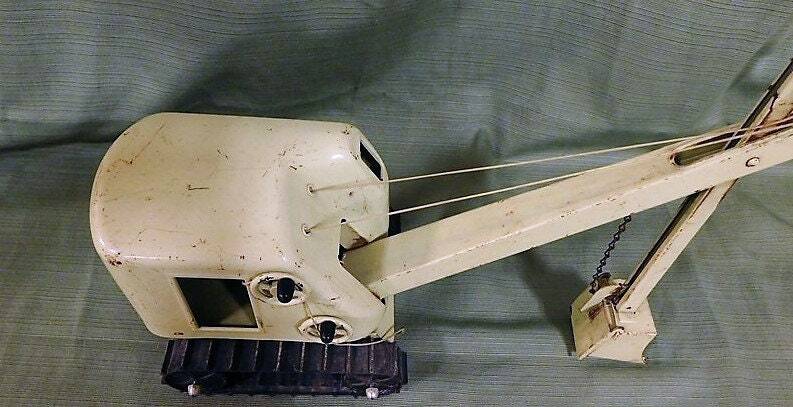 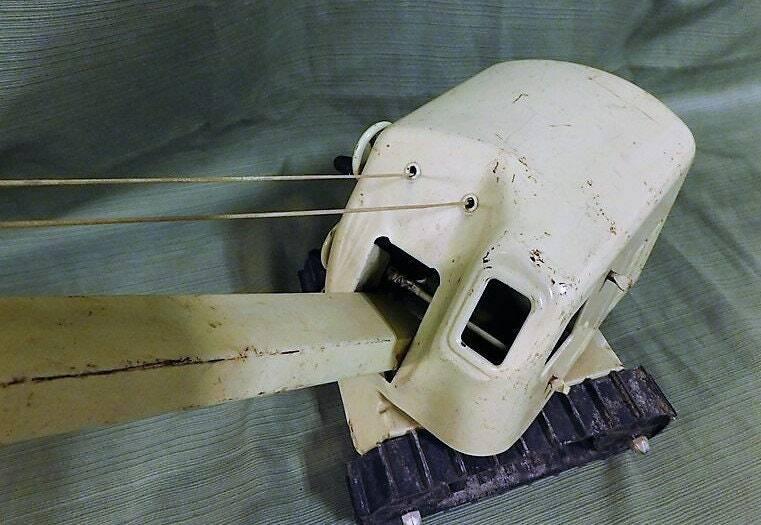 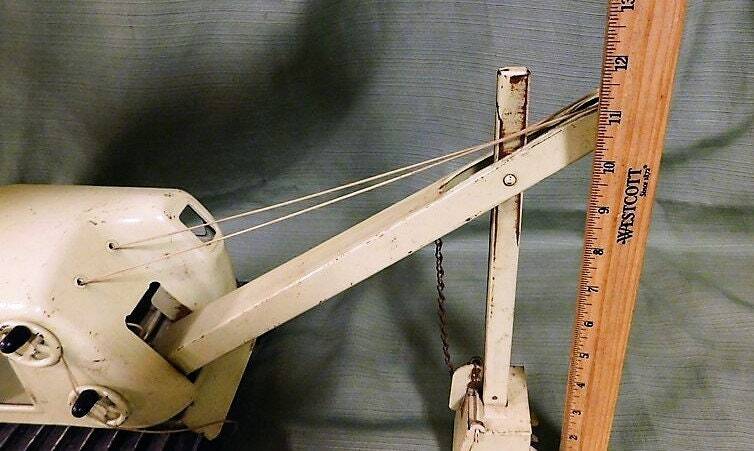 Steam Shovel Excavator, original rubber treads and drag line! 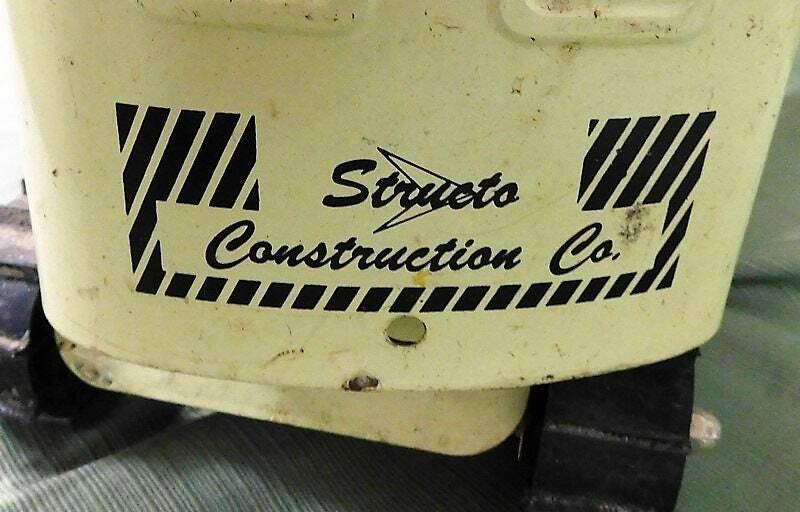 Vintage Structo Construction Co. 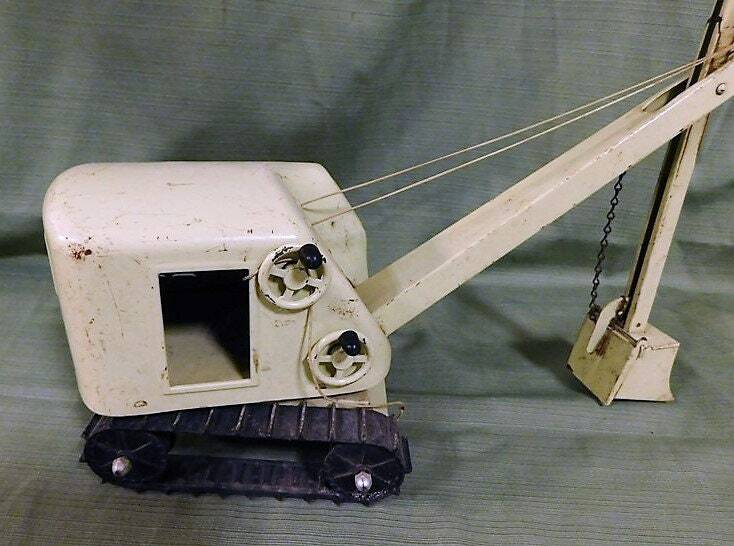 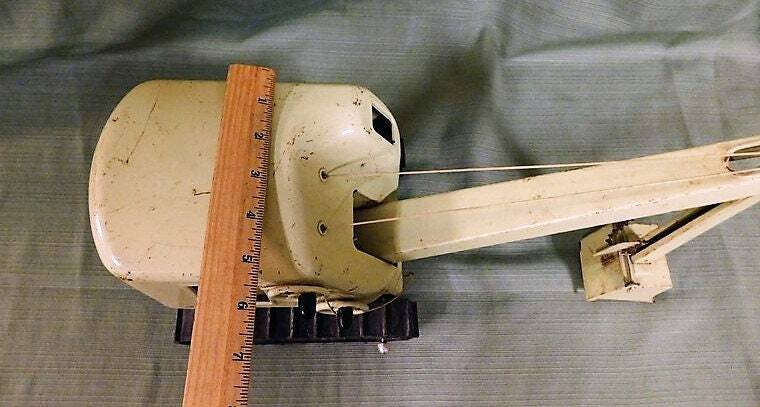 Steam Shovel Excavator, light yellow with original rubber treads, 18" x 5" x 11-1/2"
Some play wear but the original drag line and original rubber reads testify to great condition which you can see in the pix.